After 3 months of being on the go, work brings me to Hong Kong and an opportunity to meet up with PT to sample his latest. On the 28th of January, I was shared by PT, pictures of a bare room with signs of acoustic dampening, wire looms and an introductory poster stating divine laboratory. It was pretty obvious what the room was for after the brief introduction of its conception at the 5th AE Show. First question to PT was, "when is the baby due?". And the answer was March. This shows the holistic approach that feeds the beast within the system. 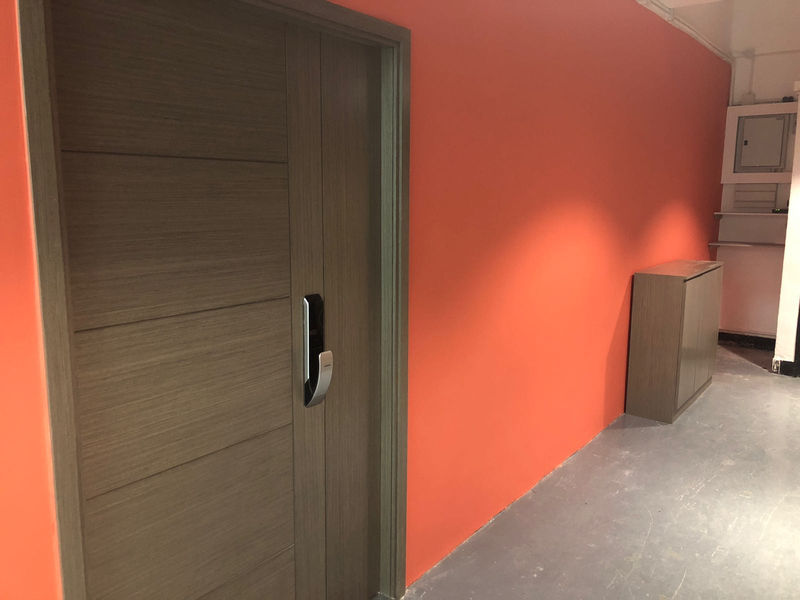 The bare room, the placement of acoustic material, power plugs, lighting, choice of rear wall panels, base traps, diffusers, reflectors and furniture to juice up the cosmetic appeal. The man and his master creation. Aural fixtures done. Note the cosmetic fixtures that enhances the total auditory and visual experience of this dimension. 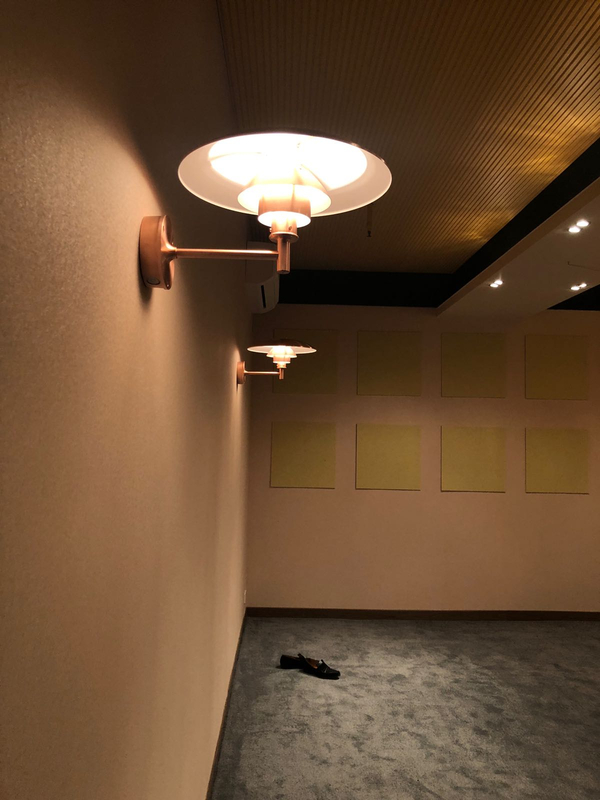 Lighting fixtures carefully placed to enhance the aural experience. Music is a total emotional experience in which all the senses are caressed to register a euphoric visceral feeling. All this thought and planning has lead to the birth of the Divin Laboratory. 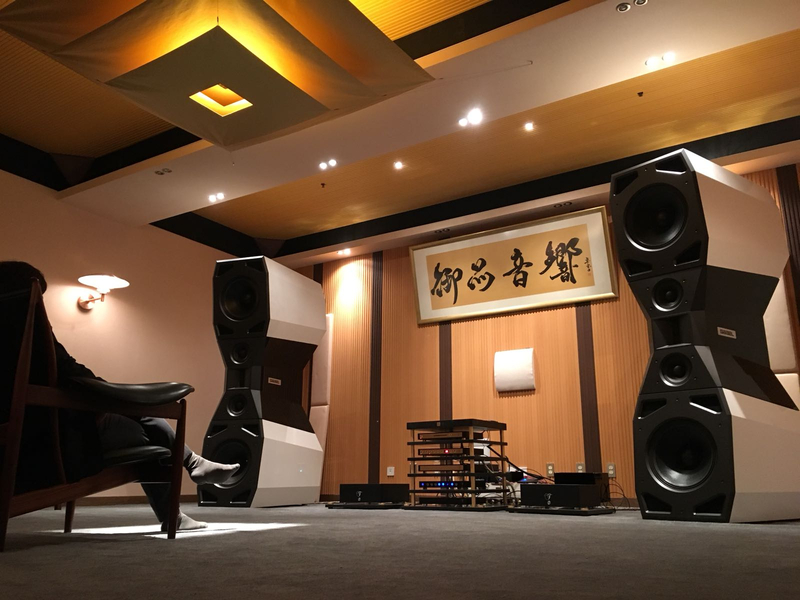 I visited this lab yesterday and it is the most exotic hifi experience I ever had. PT has definitely brought music reproduction to a new height. Divin has the highest sound density, and highest speed I ever experienced in conventional speakers. In many mega systems, I can hear audience clapping filled up the space in front of me, but in this system, I can hear clapping surrounding me, filling up the whole room, making me feel like sitting in the venue of live shows! Indeed, the first second when PT played a vocal, I was stunned by the ghostly lifelike voice in front of me. 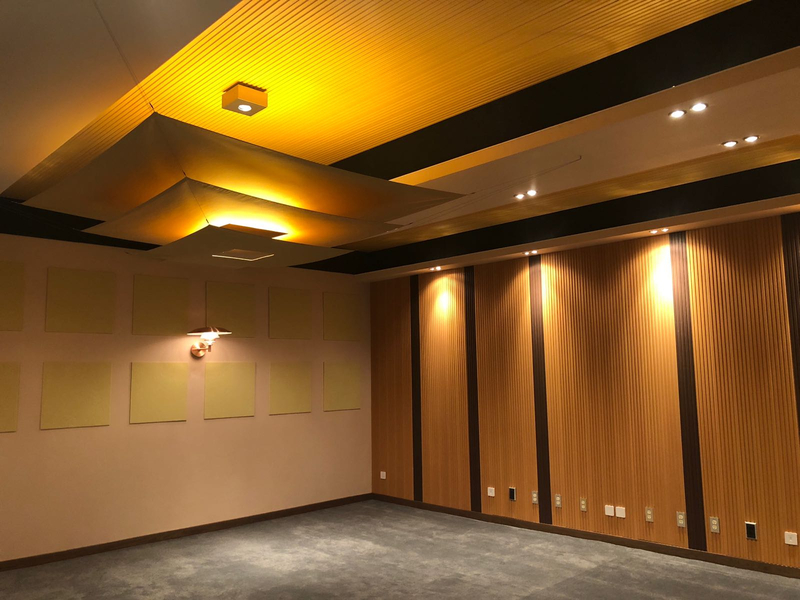 PT showcased how to treat a room to match with mega systems, and the result is a perfect acoustic matching with this divine system to set up a surreal music hall in front of you. PT's passion shows me how to tame a mega system to exert its full power. I am now more confident that I can tame my system at home. To me, AE is not just a distributor of exotic products. It is the spirit of never ending pursuance of best music reproduction that impresses me. I learned a lot and am having so much fun. This is really a hifi temple one can never miss. And then comes the juice..... Part 1. With the room set up to stimulate the visual sense and maximise the auditory experience, then comes the heart of it all. Not a single thing was left unturned. Unassumingly set to one corner of the entrance is Jarvis. Appropriately named like Ironman's artificial intelligence central computer. (JARVIS stands for Just A Rather Very Intelligent System). This is where it all begins. This monstrous setup is being nourished with the best. Jarvis is an isolation transformer and a V filter. In normal laymens words, it feeds the best electricity to all the ORB plugs used in the Divin Laboratory. "We are what we eat...."
ORBs synapses the power of Jarvis to the beast. 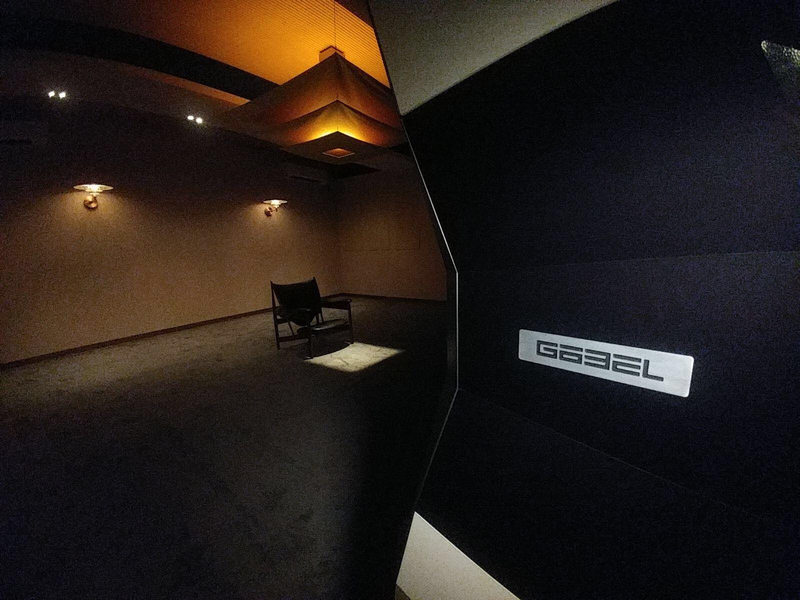 As you walk in, its hard not to see the 8 foot tall behemoth of a speaker, the Goebel Divin as you enter the room. Standing majestically with a slight 10-15 degree toe in and about 12 feet apart. One thing that I noticed was that these speakers were not place very far into the room. Its about 3 feet and 5 feet from the back and side walls respectively. This is old school and I love it! Goebel Divin Loudspeakers. It looks at you like a pair of stormtroopers from the Imperial WarShip. But before i deviate further, we continue to flow with the direction of the AC. The purified AC from Jarvis is sent to the Trinity Golden Reference AC Conditioner via the Skogrand Stravinsky AC Power Cord. 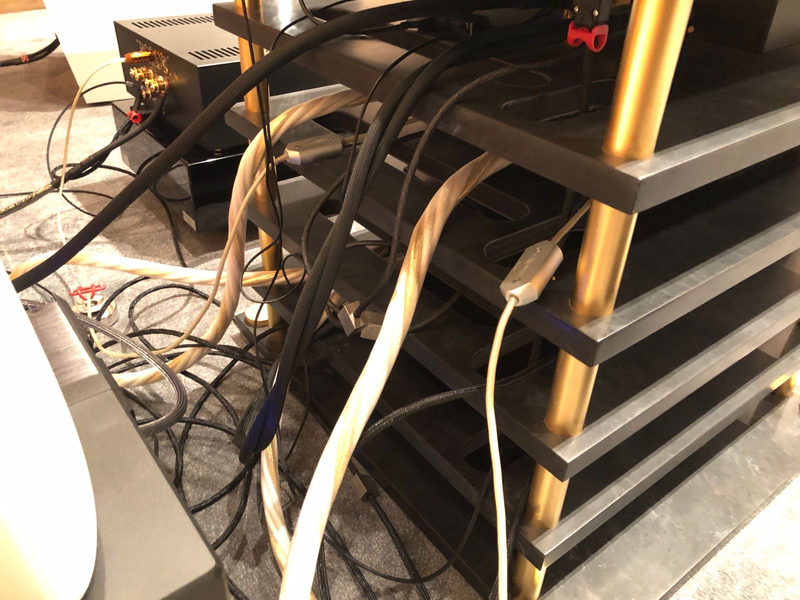 It then goes via the Trinity Power Cords to the Trinity Golden Reference Electronic (PC, Preamplifier and Power Supply), DAC, Power supply filter and 2 Trinity power amplifiers. All this sits on Trinity's custom rack and the Trinity power amplifiers sit on their own SRA platforms. Power is also fed into the power supply that feeds the router. 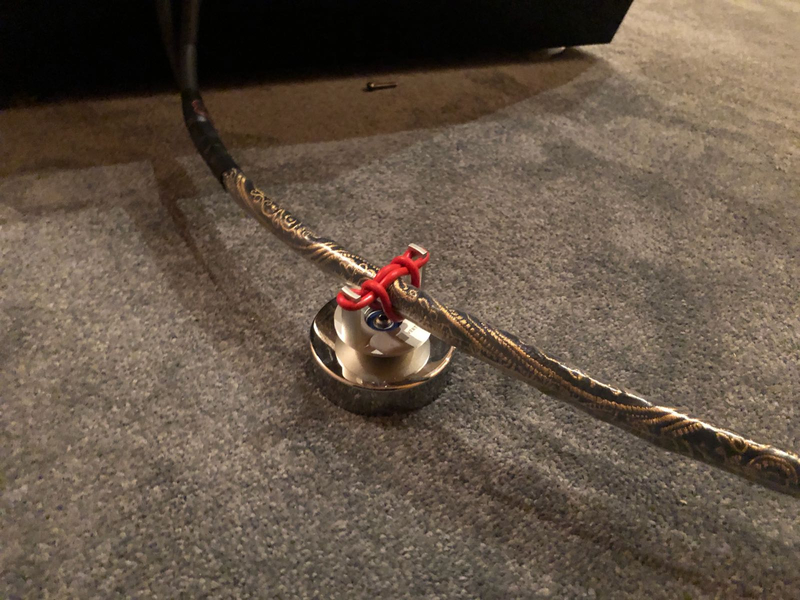 Can this be Edison's Creation? Flagship Skogrand Stravinsky Power Cord feeding into the Trinity Golden Reference AC Conditioner. Trinity Power cords doing the honours to feed the individual Trinity units and the router. The Trinity Golden Reference (PC, Preamp and Power supply), DAC and filter. (From top to bottom) All sitting on Trinity's Custom rack. 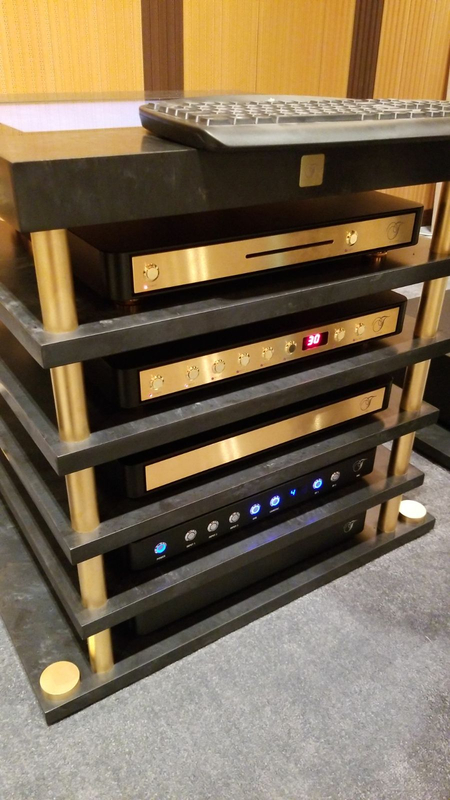 As fast as the speed of the AC comes into the Trinity Golden Reference and Power amplifiers, the Tripoint Troy Elite sitting at the back, connected to its own ORB receptacle on the back wall, is removing the EMI, RF impurities which is left feeding into the system. 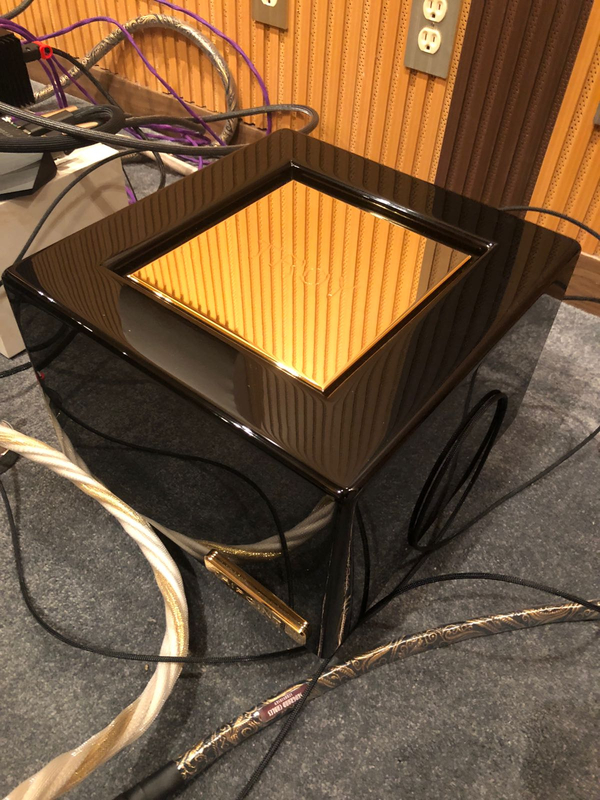 It is connected to the Trinity Golden Reference and Power amplifiers. Connections between the sources are courtesy of Dalby Junro interconnects. Then signal from the preamplifier to the power amplifier is served by the Vertere HB XLR interconnects. Speaker cables are then served by Knut Skogrand's flagship, the Stravinsky cables. 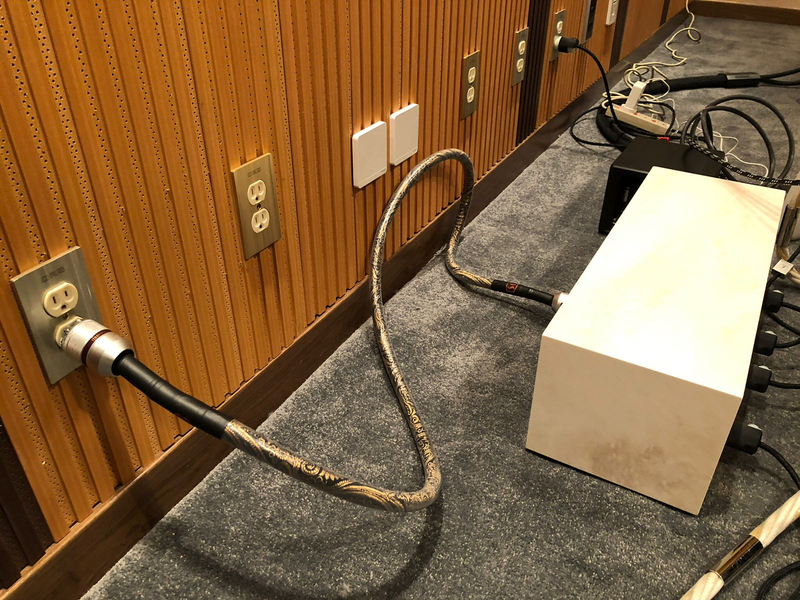 As I understand it, the careful selection of this combination of cables has its purpose in all the octaves of the music: speed, power of delivery and holographic ambience. This is not to say these components add a signature sound. They are all as neutral as they can be but each one of them does it well in the various octaves of the presentation. 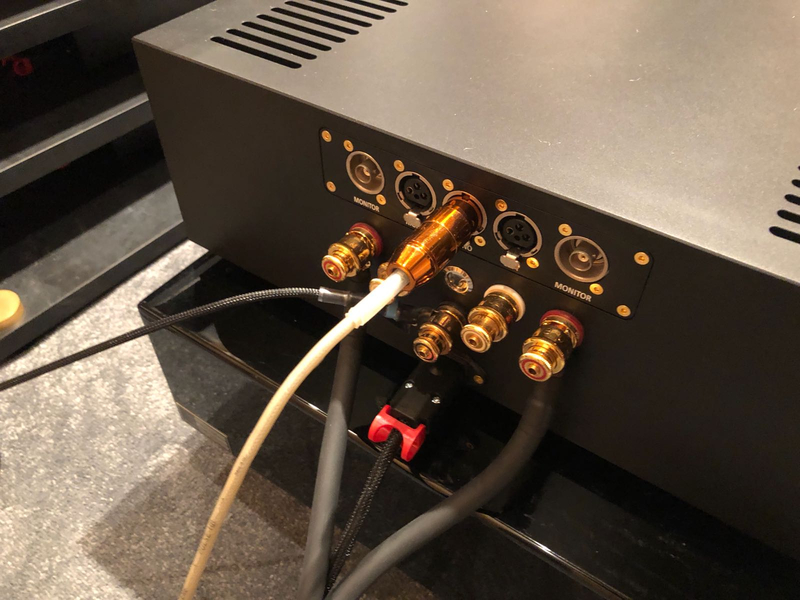 This hotch potch of presentations allowed PT to maximise the strengths and heightened the pleasure..
Vertere HB XLR interconnects from the Trinity Preamplifier to the Trinity Power Amplifiers. 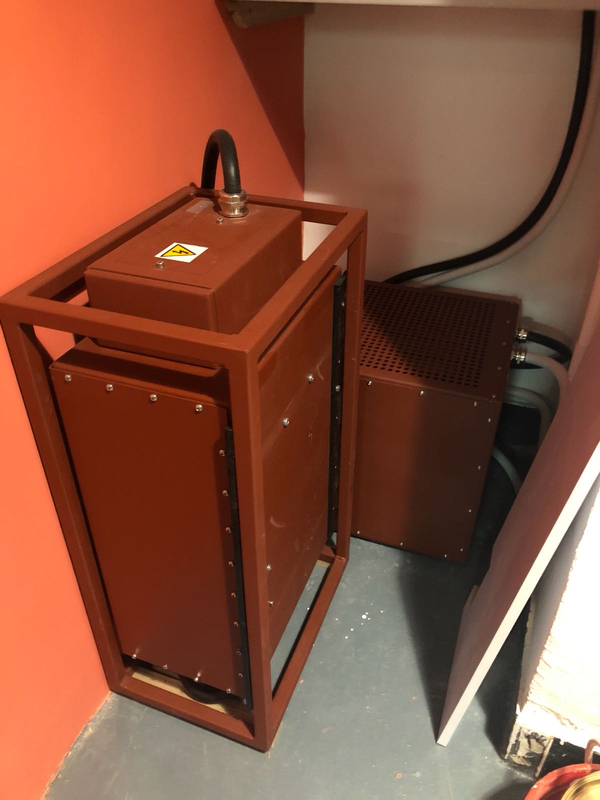 Vertere Cable Elevators are being deployed to suspend the Stravinsky speaker cables and Vertere HB XLR interconnects. 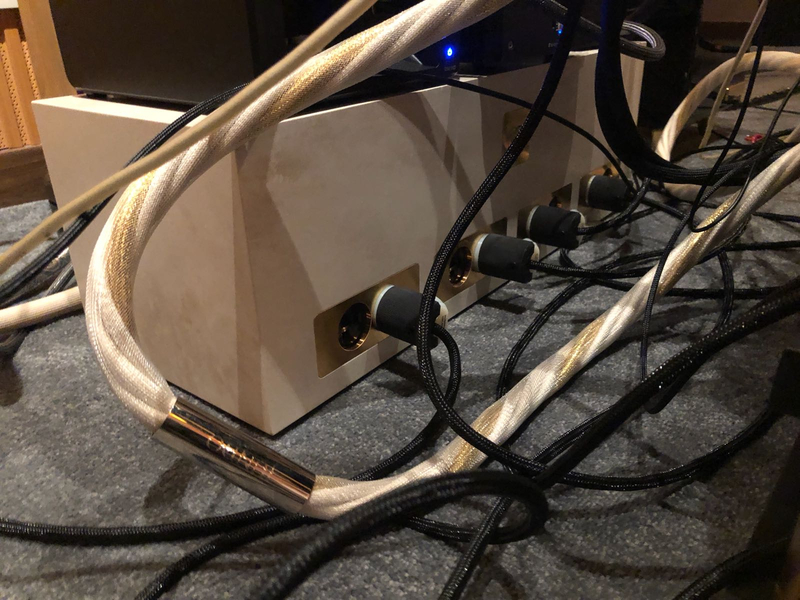 Lee Dalby's Junro interconnect from Dalby Audio Designs (in white). 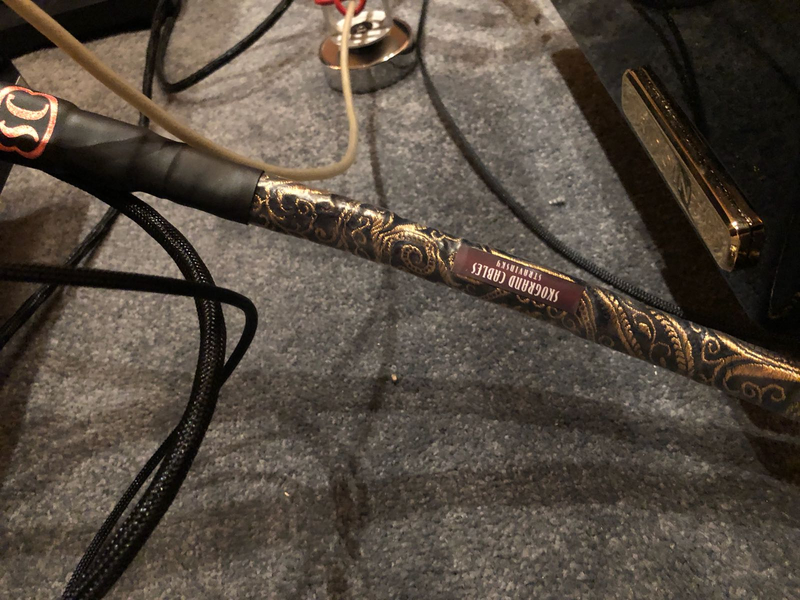 Knut Skogrands flagship speaker cables, the Stravinsky. And then comes the Divin. It is absolutely breathtaking and overwhelming. Coming is at a massive 600kg and 2 x 18 inch drivers per channel. Just couldn't help thinking BASS BASS BASS. Positioning the speakers, setting up the speakers, one inch of movement in and out.... Hmmm. Massive workout! Oliver Goebel's masterpiece, the Divin. 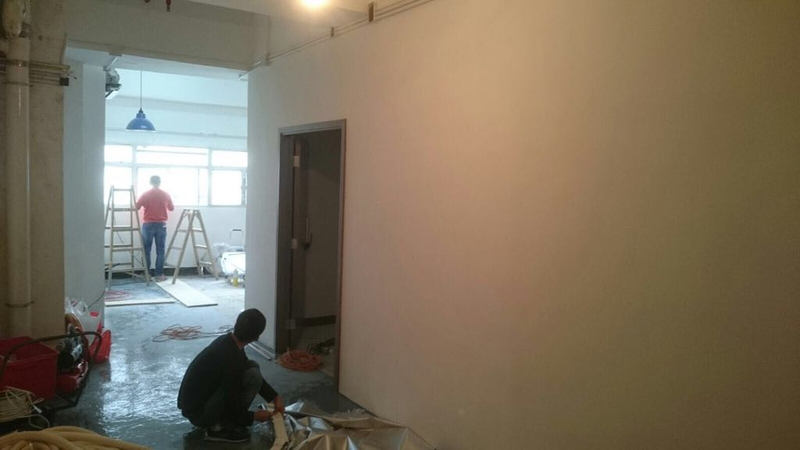 Goebel Divin, Audio Replas accoustic panel and PT's pride and joy by Master Cheuk. 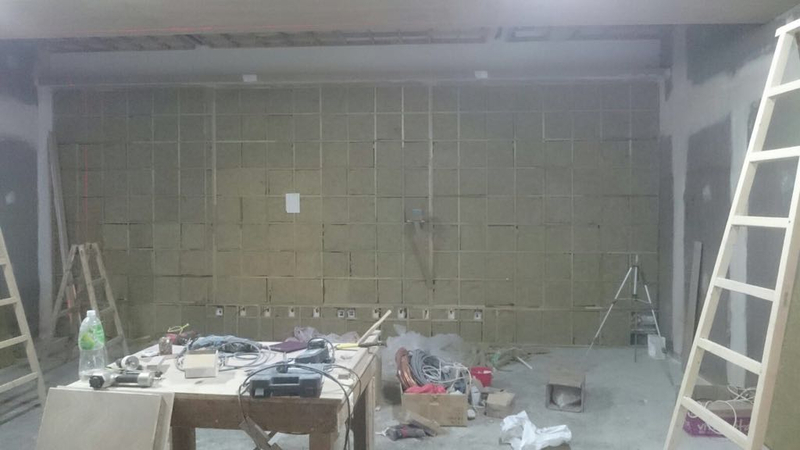 The Divin Laboratory is far from completion according to PT. Im sitting at the edge of my chair awaiting the analogue setup. Im sure PT is cooking up something within the four walls of this laboratory and it will not be easy as he told me. I know that PT knows the end results that he wants and now its a matter of experimenting, making and selecting through a variety of trials. Mesmerise me!!! 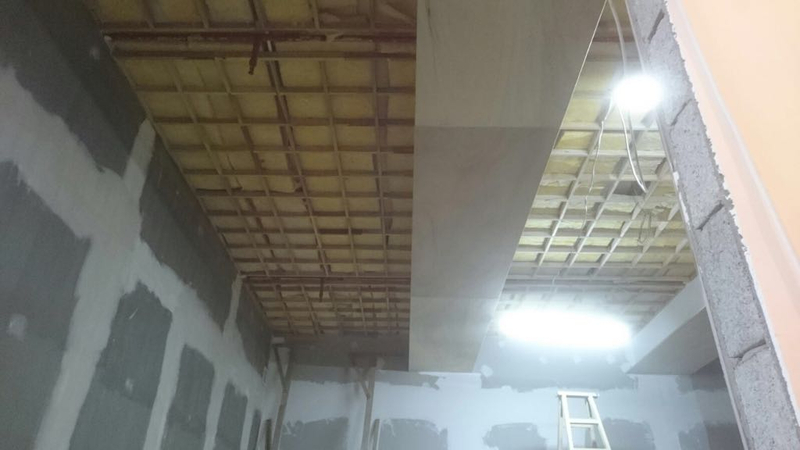 So hard work and planning has lead to the conception of the divin laboratory. Congratulations PT and Audio Exotics! A massive feat backed up with bold courage, confidence and knowledge. What does this laboratory produce? ...... Stay tune. First thing to tick was, going with another pair of ears. Diat is a trustworthy mate with a polished pair of eardrums. My wife, who usually does the honours was holding up the fort back home in Malaysia. Even though thousands of miles away, she keeps reminding me that she HAS to visit the Divin Laboratory. Visually, the room was mellow and very much exotic. The natural wall colours and gray coloured carpet framed the eyes directly to the centre of attraction at the front wall. The yellow hue of the lights were just right to get anyone into the mood for music. The thing that i particularly liked was the centre light with the three layered canopy which served as an uplight and allowed a square patch of light directly placed in front of the designer hot seat. Suddenly fatigue and lack of sleep disappeared. This laboratory has remedied a cure by creating an extraordinary expectation. Next came the boldness and confidence of PT. "The room is yours. Play anything that you are familiar with!" He gave me the iPad and sat back. Now Metallica's Holier than thou is a "go to" song only for my system at home to see if it has what it takes. I never play it at friends houses or showrooms in fear of loosing a friend or getting thrown out. But since i was in charge of the iPad and given the confident thumbs up, I played it. Wow Wow Wow!!!! Ultrafast dips in the hertz and staccatos, darkness of silents in the rest of the bar of notes and the attack! The air! And this from digital, solid state and not even horn speakers?? Only then did my senses understand PT's creation. It didn't take me long to stop analysing the system and to just sit and enjoy the music. I was confident and i know it will be the reference to recording playback. Then Diat was let loose with his selection of genre: Lee Ritenour (rainbow, rio sol), Chuck Mansion (feel so good), Larry Carlton (smiles and smiles to go), Stanley Clarke (overjoyed), Kenny G (tribeca), Anita Baker (no one in the world), def leppard (hysteria) and Michael Jackson (in the closet). I sat quietly behind him and to occasionally to a corner. The icing of the cake for the Divin laboratory is that it sounds fantastically the same from any seating position. So everyone can enjoy and experience the sonic perfection. We then ended the experience before I had a chance to sign on the dotted line and get myself into serious trouble. Was I in love with the system? Big thumbs up. Have i experienced this with any other system before? No.. This concoction is exotic audio and very much Audio Exotic. True in every sense of the words. Would it take it home with me? Absolutely, this is a keeper. Can I, is a totally different question. Diat and I completing the experience with the Divin Laboratory imprinted into our senses. A great musical experience does not end. Its just lingers in you. We continued to talk about the experience and exchanged notes on this. I couldn't contain my excitement and had to share it with my wife. We spent hours discussing it. Extraordinary. Even til today, i cannot get the experience out of my head. And neither do I want to. It is still playing in my ears and touches my soul. I would like to congratulate PT on his creation and being given the opportunity to experience his passion and finding the "holy grail". Years of experience has gone into this and it will be well appreciated by the many whose lives are touched my music. And yours truly, included. Thank you my friend. I enjoyed reading your experience very much. It has been a long while someone willing to take the time and deliver such comprehensive report. I can feel your joy from the writeup. 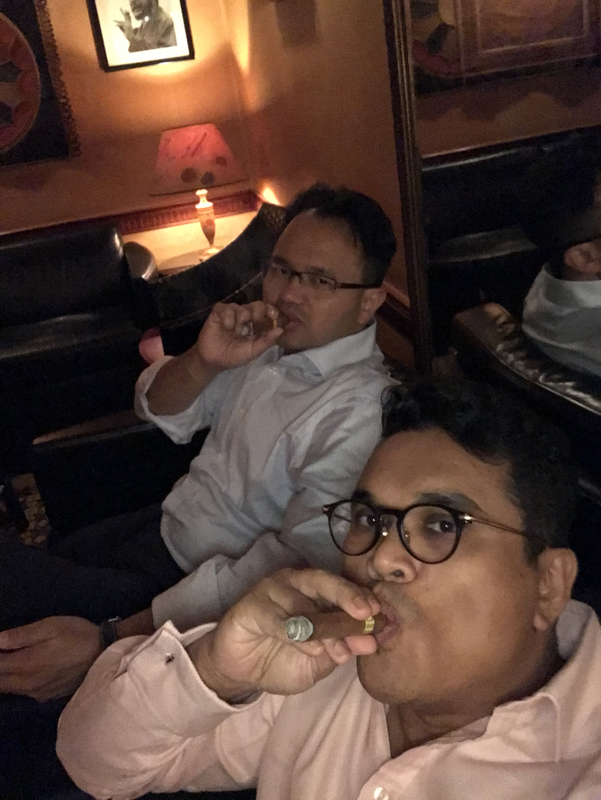 The cigar picture really says it all! Thanks for such a fantastic write up. I could feel your passion too. I will visit Divin Lab next week and share my comments here. As far as I know, PT widened the distance of the speakers after consulting with Master Chik. The result is quite a lot bigger in staging with all items vividly playing within a Virtual reality space. I am yet to experience. But will soon. Exactly 2 weeks after my "Divin experience", my quest of sharing knowledge brings me to Fuzhou, China where i meet up with my compadre from Colombia, Rodrigo Pesentez. The love of bone fixation and music brings us yet again resulting in hours of talk and ending with a description of the Divin experience. What goes through the mind and heart of one who exudes passion to bring back time and soul into music? 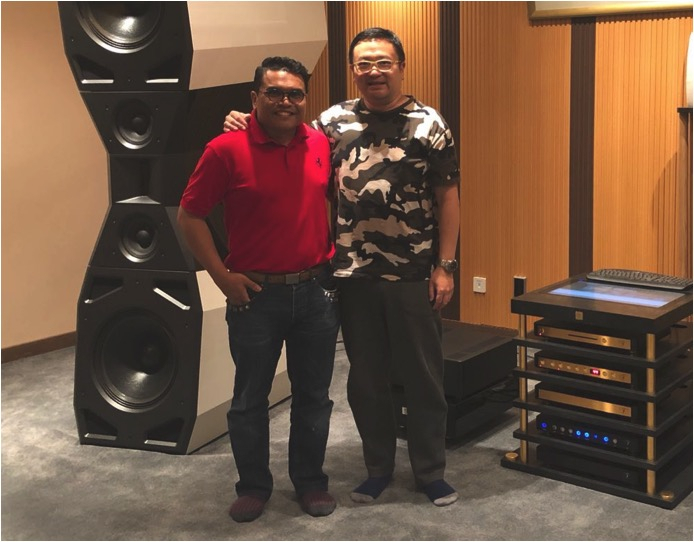 KFM: Chris Leung, CEO of Audio Exotics, and the mastermind behind Divin Laboratory. The Divin Laboratory is an extremely well planned masterpiece. How did this idea surface from your heart? PT: Audio Exotics has long been associated with tube electronics and horn speakers. I believe it is time for diversification on the speakers front. But I am not contended with the speed of all conventional speakers in the market. It happened coincidentally that Oliver Gobel was developing a cost no object conventional speakers that might satisfy my appetite on speed, transients and presence. And I want the speakers to be highly efficient and easy to be driven even by tube amps. It took Oliver over two years to work that out. I didn’t know the size of the speakers at all. He had all the design freedom. It turned out that the Divin is a gigantic speakers. When I first saw it last year together with Yamada san of Zanden, I was totally shocked. Then it was premiered in the 5th AE Super Hi End Show for 3 days. Afterwards, the Divin was housed in the warehouse since my showrooms are not big enough to even move them inside. As a result, the idea of building a mega showroom to house it began surfacing in my mind. PT: It is because the Chinese translation of Divin is equivalent to the “Divine Comedy” by Dante. This name is special to me as I studied the Divine Comedy in college and even written a paper on it for English Literature class. It is about Dante seeking the truth of divinity and humanity. The analogy of this to me is my constant search for the truth in music reproduction. KFM: What are the aims of producing a separate “flagship” music laboratory away from the centrally located Audio Exotic showroom? PT: The divin lab is meant for my own reflection and research. It went far beyond the search for excellence in sound production. I am aiming for reproducing the “souls” of the musicians. I want to recreate a soul-to-soul connection experience in the Divin Lab using my knowhow. Commercial interest is lesser of a concern here. I pick what I believe to help me recreating an epic listening experiences here. There are no political concerns here. 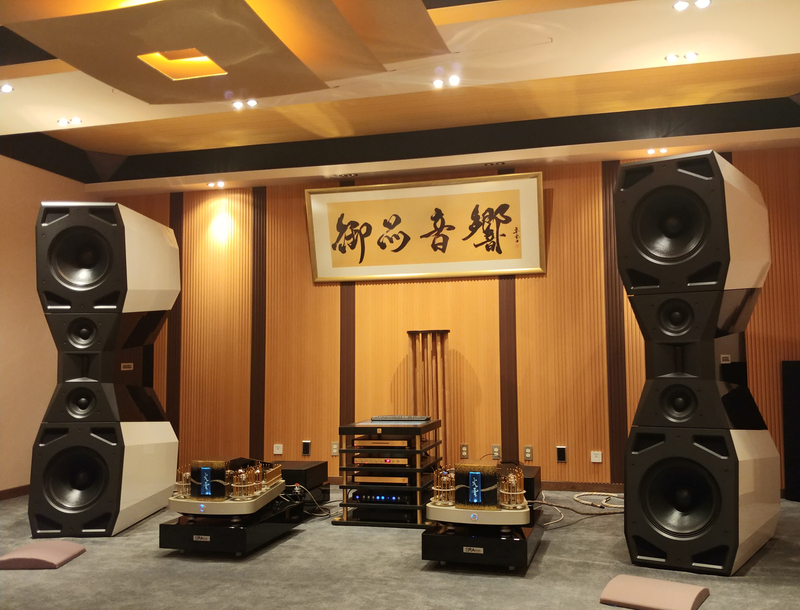 KFM: The new centrally located Audio Exotic showroom has an array of carefully matched components catering for a plethora of tastebuds. 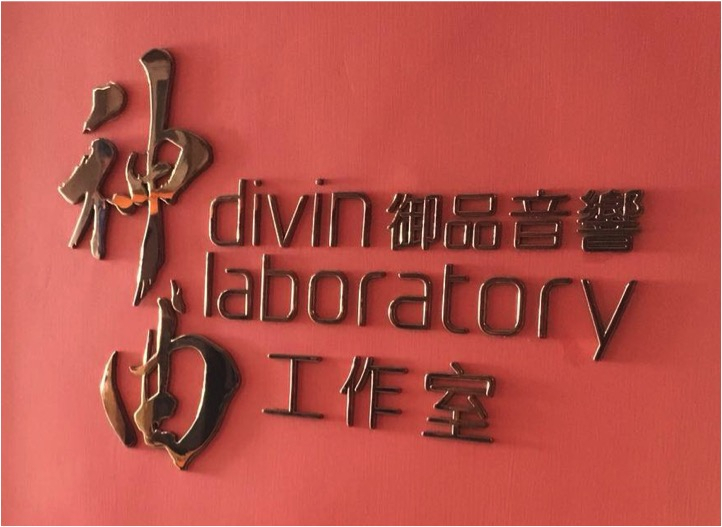 How is the Divin Laboratory different than these? (1) JARVIS starts isolating and cleaning electricity at the FUSE box. 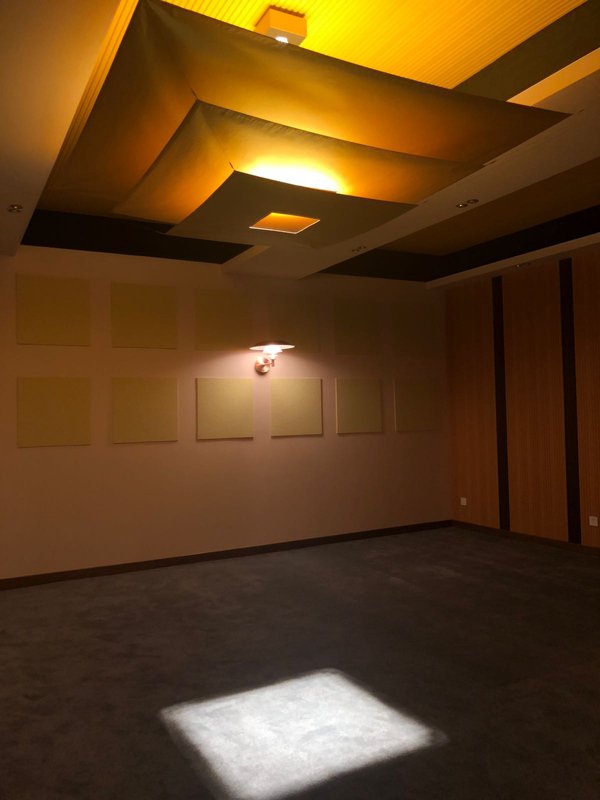 (2) The application of TRINITY GOLDEN REFERENCE AC Conditioner inside the main listening room because of its supreme specification similar to that required for an “ATOMIC SHELTER” stipulated by the National Security Agency of the US. (3) The Troy Elite by Tripoint. Other showrooms use Troy Signature. 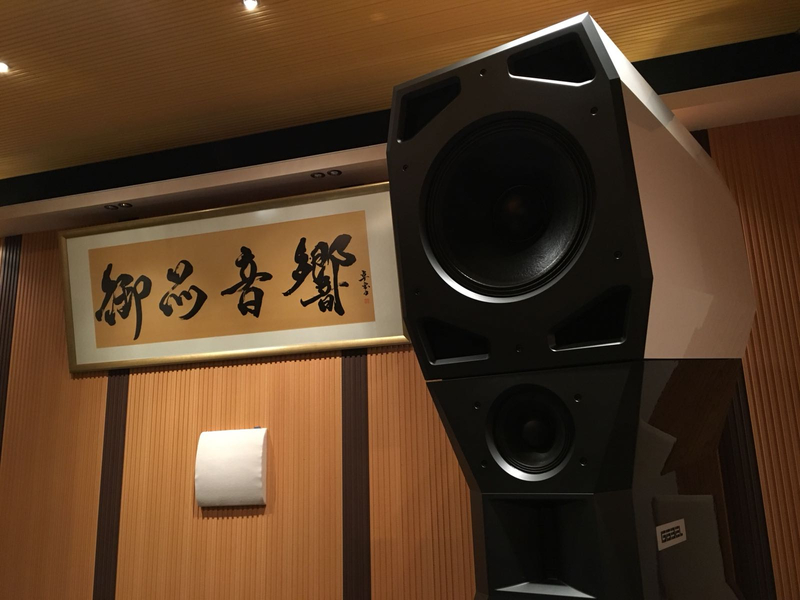 Room acoustics tools are mainly from Audio Replas of Japan which is NOT under my distribution. 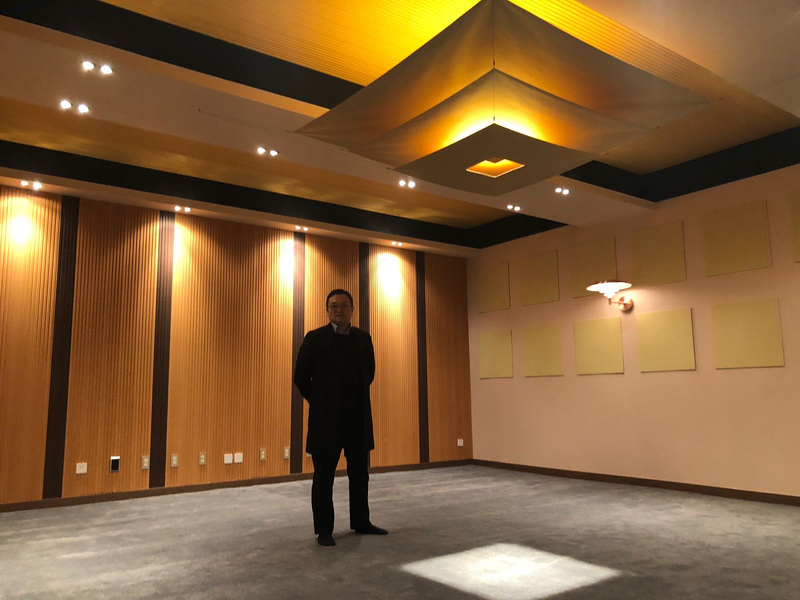 KFM: I talked about the description of the room from the bare concreted walls to the wiring, acoustic paneling and designer furniture during my visit to the Divin Laboratory. This sort of feat usually requires an interior designer and an audio acoustic engineer. Tell us, how did you actually decide on all this? Why the choice of the Finn Juhl chair, the colour of the room and the centrally focused shadowed light placed to the front of the Finn Juhl chair? PT: The Chieftain chair by Finn Juhl was the very first designer chair that caught my attention many moons ago. I sat on it for a nanosecond in a furniture store in Japan before the security guard verbally warned me not to do it again. From that moment onward, I was drawn into the world of Danish classics. I collected many famous chairs. The Chieftain is the best of the best to my eyes. The “Luxury Pure” light is designed by INGO-MAURER of Germany (based in Munich) - the magician in modern lightning. It looks like three different gold papers in square flying at different height but always vertically aligned. I like the colour gold very much because it is warm and attentive. My central thesis is a moonlight shading atop a Chieftain. At this position, all walls disappear as though a tribe leader is mediating in a plain under moonlight. The matching colour tone of the room follows this. 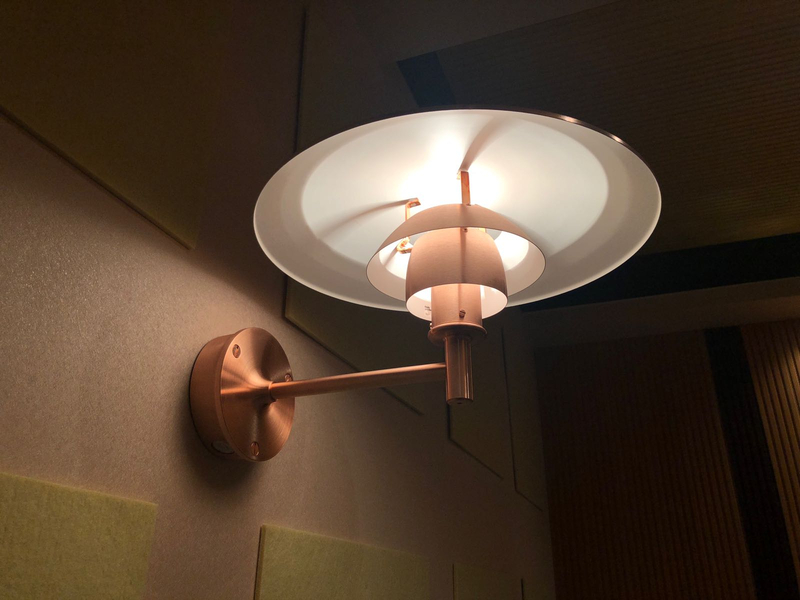 That explains the Louis Poulsen lights on the side walls are all in copper. KFM: Correct me if im wrong; The Divin Speakers by Oliver Goebel will be the permanent fixture in the laboratory. What have you experimented with so far in terms of electronics, sources and ancillaries in the laboratory? PT: Not necessarily permanent as Trinity is also developing his flagship speakers. For the time being, I must make the best out of Divin. And best means a soul-to-soul connection listening experience. An entire suite of Trinity electronics is chosen to drive the Divin because Trinity electronics is the most precise, reliable and the smallest. I want to create a contrast between space saving ultra end electronics with a gigantic speakers as well. I want to challenge the eyes. I want people to listen with their hearts. I intentionally not to set up the VINYL system for the time being because I want to understand more about the room acoustics first. It is better not to introduce too many parameters at this juncture. KFM: So people swear by a single cable company and its neutrality to deliver what the components are meant to do. I see you have a mixture of Skogrand, Trinity, Vertere and Dalby Audio Design. Can you tell me how they contribute to the overall reproduction of music? All cables are neutral but are some cables more neutral than others? PT: I primarily use Trinity power cords all through because they are flexible to use. 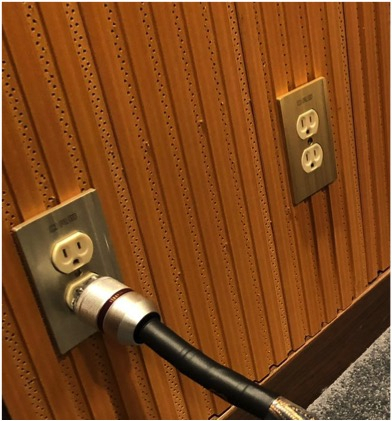 I only use one Stravinsky power cord between the wall and the Trinity golden reference AC filter because this is the most important position, and the spec of Stravinsky power cord convinces me it is the right application. The next is the Stravinsky speaker cable between the amp and Divin. For interconnects, I rotate between Argento FMR EE, Vertere HB, and Dalby JUNDO for experiments FMR EE has the highest resolution from top to bottom, Vertere HB is smoother in the highs and warmer in the mid range, whereas DALBY excels in contour resolution with a very dynamic presentation of the high frequency alongside a very clear sound field. I consider all of them in the neutral zone. Within this zone, personal preferences always dictate and are conditional on the synergising effects amongst electronics and speakers. KFM: A laboratory produces products. What will the Divin Laboratory produce? What the plans for the future? Where is the laboratory heading? PT: To reproduce a Divin listening experience - a soul to soul connection listening experience. KFM: Thank you for sharing what goes into this passion that we all share and the opportunity to "time travel" and audibly witness artist/musicians/orchestras in their respective eras. This is truly a laboratory of time travel. PT: You are most welcomed. Nice review an interview, kfm !!!! From an european costumer as me, sometimes it is difficult to understand horns/tubes philosophy. 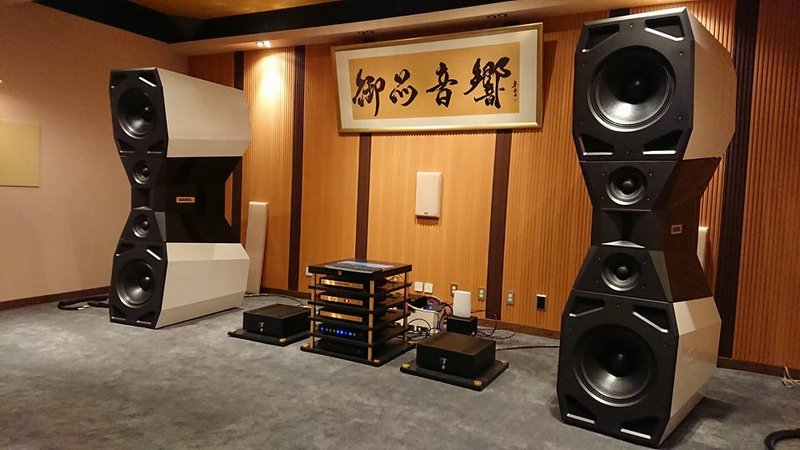 The Divin room opens the way we all know with conventional speakers and SS amps. PT demostrates that he can go far away and designing a stunning system with different concept. 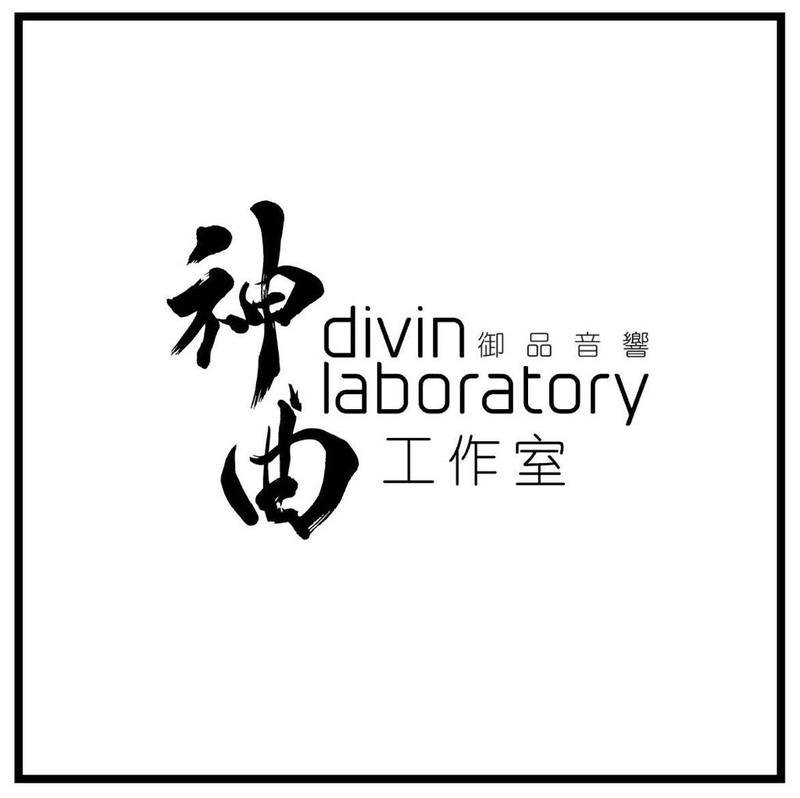 The Divin laboratory development will be very interesting and it will let me to learn more from PT knowledge. 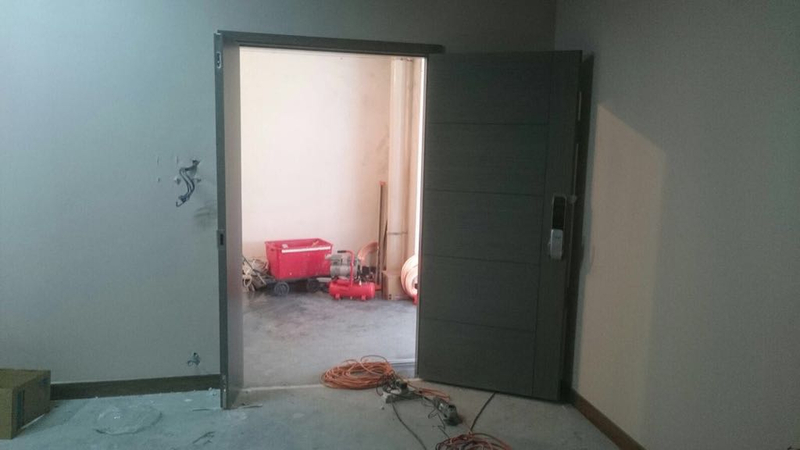 I like very much the PT open mind when he asserts the Divin room will be open to different set ups. 火雲 and Divin are a peerless match!